Some stocks just go out of favor for no clear reason, and high-yielding Eaton Corp. (NYSE:ETN) looks like one of them -- the stock trades near the bottom of its peer group in terms of valuation. However, management's guidance calls for ongoing margin expansion and strong free cash flow (FCF) generation in the coming years. 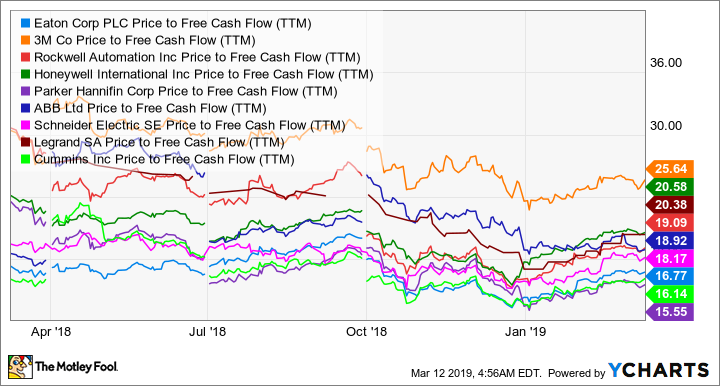 With a well-supported current dividend yield of 3.6%, investors might want to ask what's going on, and whether Eaton's stock is due a revaluation. 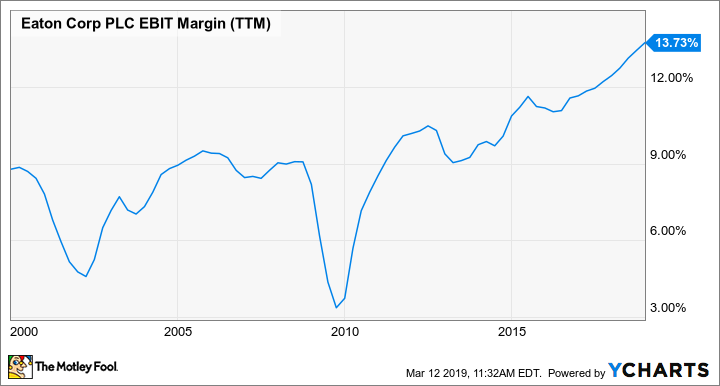 It's true that Eaton faces cyclically risk, but then again so does a company like 3M (NYSE:MMM) which the market seems willing to give the benefit of the doubt when it comes to growth prospects. 3M has a lot of short-cycle business which could slow given any deterioration in the economy. Moreover, Rockwell Automation (NYSE:ROK) had a good first quarter of 2019 and maintained full-year guidance, but the stock is still dependent on capital spending trends in the industrial sector -- the first thing that gets cut in a slowdown. Check out the latest earnings call transcript for Eaton Corporation. How Safe Is Eaton and Its Dividend?